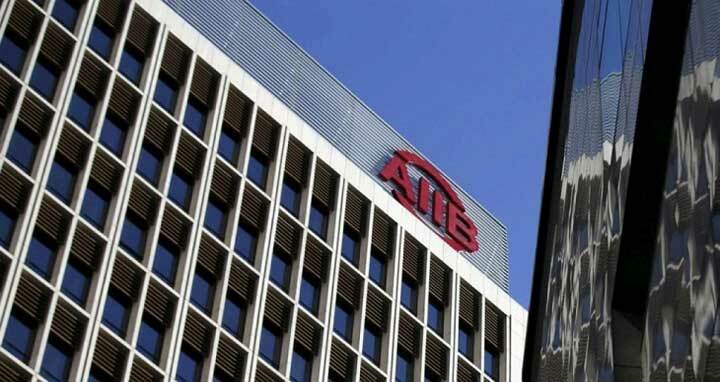 Dhaka, 27 Feb, Abnews: The operation of the China-led Asian Infrastructure Investment Bank (AIIB) is likely to expand further in the coming days in Bangladesh as five more projects are in the pipeline of this multilateral lending agency with an overall estimated funding layout of $885 million. "We do have some five projects in energy, transport and clean water sectors in the pipeline for Bangladesh and those are still in the initial phases. We're looking at these projects in energy, transport and clean water .........we're considering these projects," said Laurel Ostfield, the Head of Communications and Development of AIIB. Laurel said this responding to a question at the 'Bangladesh Media Roundtable' held at a city hotel. AIIB's principal communication officer Yuanjiang SUN was present. The AIIB official said approval of these projects by the AIIB depends on fulfilling the specific criteria of the Bank. "We need to do our screening...........these projects need to be financially viable, environmentally friendly and socially acceptable,"
She said that Bangladesh has already proposed to the AIIB to make funding available for these five projects adding that AIIB value Bangladesh highly. Laurel informed that the AIIB on February 8 this year has approved a loan up to $60 million for a project in Bhola that will increase power generation capacity in Bangladesh and thus help the country respond to power shortages. "With the new approval, the overall funding of the AIIB to Bangladesh stood at $285 million against three projects in the energy sector," she added. The AIIB has already approved $60 million for the Natural Gas Infrastructure for Efficiency Improvement Project and another $165 million for the Bangladesh: Distribution System Upgrade and Expansion Project. When asked why Bangladesh would prefer loans from AIIB when bilateral development partners like China and India are coming up with a large extent towards the development efforts of Bangladesh, the AIIB official said there might be bilateral and multilateral development partners, but the need is great for Bangladesh. "We offer better rates and we have a fresh balance of $9 billion (available for funding)," she said adding that they can process any project faster than others citing an example of a rural road project in Gujarat in India where the approval process took only six months time. Apart from this, Laurel said the AIIB follows a different approach in project approval process as they do not have any special interest while considering any project. "We've seen some bottlenecks (in the operations of other lending agencies). We're not bringing those to AIIB," she added. Replying to another question, she said the Bank right now has no such plan to forge any partnership strategy with Bangladesh like the World Bank and the ADB have adding that they are now taking the approach of developing business line in energy, transport and sustainable cities. Earlier in her power-point presentation, Laurel showed that the Asia's infrastructure funding gap is estimated at $26 trillion by 2030 and the focus areas of AIIB is on sustainable infrastructures, cross border connectivity and private capital mobilization. She said since its inception, the AIIB has approved loans worth $4.2 billion of which around 6.6 percent of AIIB's total investment has been going to Bangladesh against the already approved three projects. The fresh approved debt financing of $60 million will support the Bangladesh Bhola IPP, a green field 220-MW combined cycle power plant in Bhola. Once, completed, the project will increase power generation by around 1,300 gigawatt hours annually.